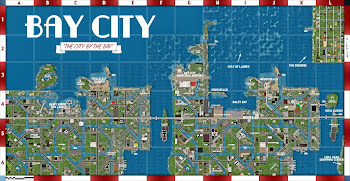 WELCOME to the sixty-eighth issue of the Bay City Post - Keeping you updated on the best city on the Grid! In May, Bay City turns NINE, and that's a whole year older than out (not the) Mayori! We hope you will help us celebrate by joining us for our annual parade and musical festivities. You can find all of the details below. But remember, you don't just have to wait for one big celebration each year. 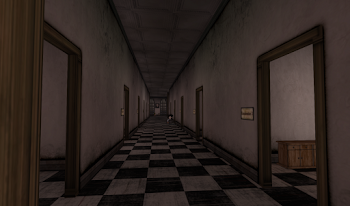 Bay City is chock-full of madness and mayhem exciting events each and every week! 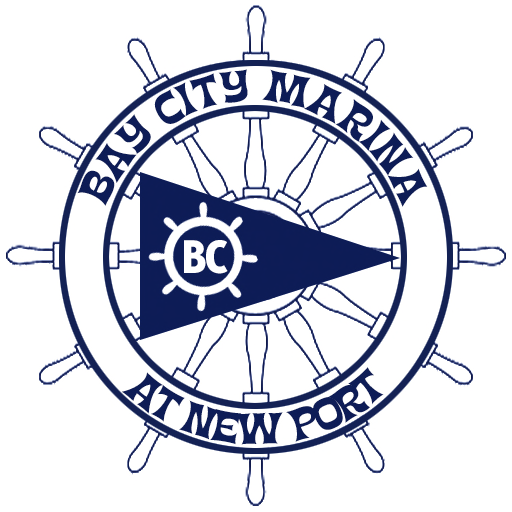 Join the Bay City Alliance, and get notices of all of the fun happenings in our fair city. As an example, every Thursday, there is a Rumble, where we race everything from cars, boats, airplanes, and even the occasional squid. 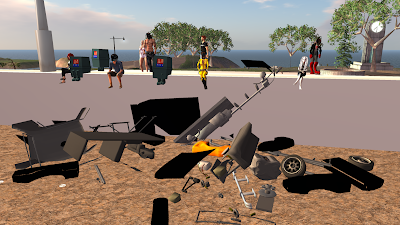 The Demolition Derby, pictured below, is an absolute favorite, with cars scripted to fall apart when they crash into each other. 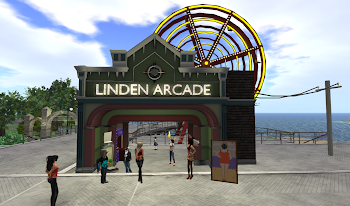 In May of 2008 the Linden Department of Public Works unveiled its first project, the themed city area on the Second Life® Mainland known as Bay City. In May of 2017, please help us celebrate Bay City's 9th Anniversary! 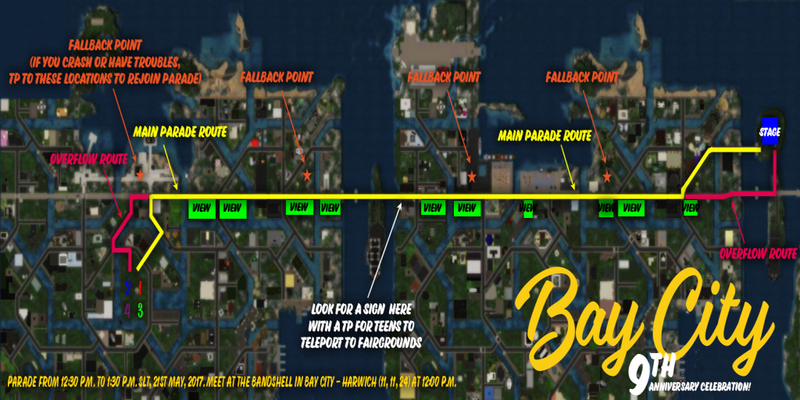 Join us in a parade on Sunday, May 21st at 12:30 PM, starting from the band-shell in Bay City - Harwich and traveling down Route 66 and Park Place to the Bay City Fairgrounds at North Channel! 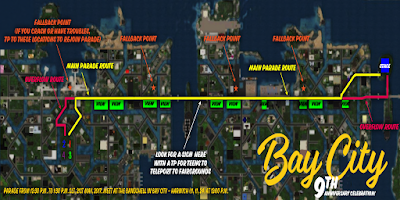 Here is a handy traveler's map for the parade route! Meet at the bandshell in Bay City - Harwich, with additional room in Bay City - Dennis, Bay City - Tisbury, and Bay City - Edgartown. The parade will begin promptly at 12:30 pm. SLT. Parade will conclude in the North Channel -- but hang around for fun and festivities at the Bay City Fairgrounds! Performing will be MARX DUDEK from 12:30-1:30 p.m. SLT, followed by CHRISTOV KOHNKE from 1:30 p.m. to 2:30 p.m., WINSTON ACKLAND from 2:30-3:30 p.m. SLT, and finally one more surprise guest from 3:30-4:30 p.m. SLT. 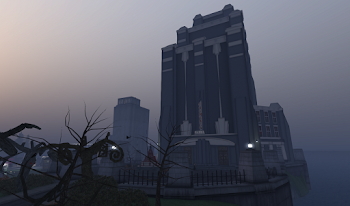 Bay Citizens, Nova Albions, Shermervillians, Blumfeldians, Nautilods, and *all* residents of the Second Life Grid are welcome! Festive outfits, unique avatars, costumes, floats, Macy's parade-style balloons, marching bands, stilt walkers, dancers, kids on bikes, dancers, drill teams -- you name it! 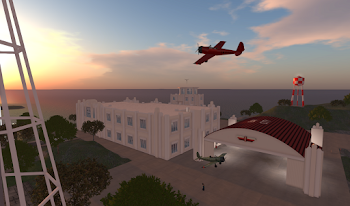 Come and represent your own special part of Second Life! How could I make a float? Best bet is to make 'em as a wearable attachment, not a vehicle. Due to some of the difficulties with 'em last year, we would prefer to avoid vehicles as much as possible. Also, they'll make your experience better, too! 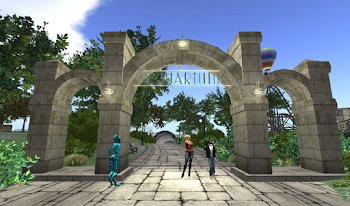 If you'd like a float base to use as a starting point, please contact Marianne McCann inworld. How can I share my photos of the event? Send them to your mySL feed, Snapzilla, or Flickr! We even have flickr and Snapzilla groups! And that's all, Folks! Make sure to check out all of our columns to see what the Post reporters have been up to this month, and get cracking on those parade floats. 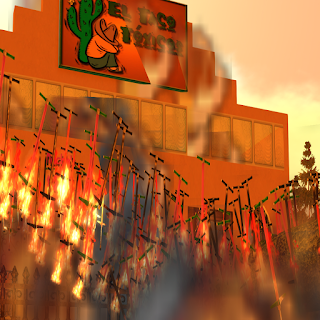 We hope to see you all at the Anniversary!